The University of Zambia has rescinded it’s earlier decision to ban semi- naked female learners from entering the library. A few days ago, library management stuck a notice in library forbidding female students from wearing miniskirts and other skimpy attire as this arouses male students. But following an international aproar that attracted coverage with media such as the BBC, UNZA has disowned the circular. 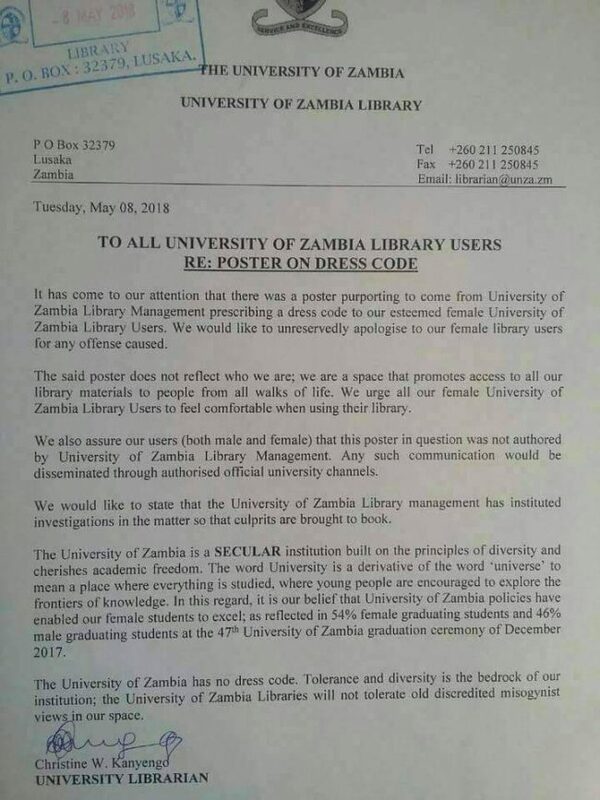 University of Zambia Librarian, Christine Kanyengo has issued a statement claiming that the said poster was not authorised. She has since apologised to university female students for the offence that the notice could have caused.